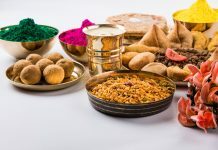 Pune is no doubt a beautiful city to live in and has an IT hub to grow, but it also has a plentitude of tourist spots and day drive or weekend getaway options. While there are plenty of vacation options, why not take a look at a luxurious weekend getaway or a day trip to Lavasa? 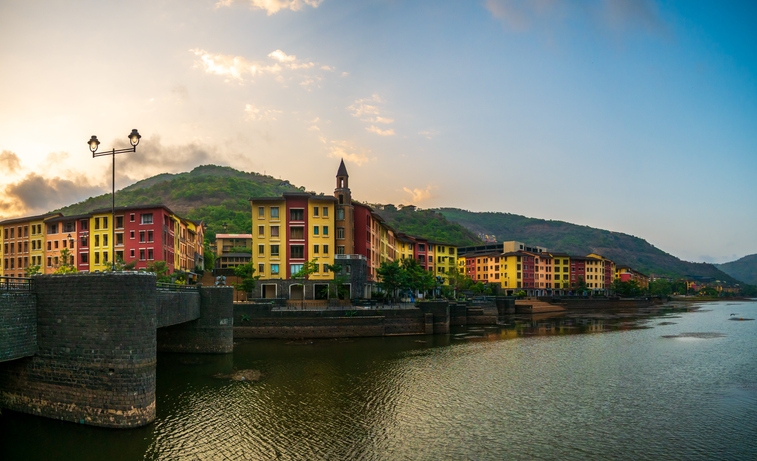 Plan a short trip from Pune to this beautifully planned city of Lavasa. 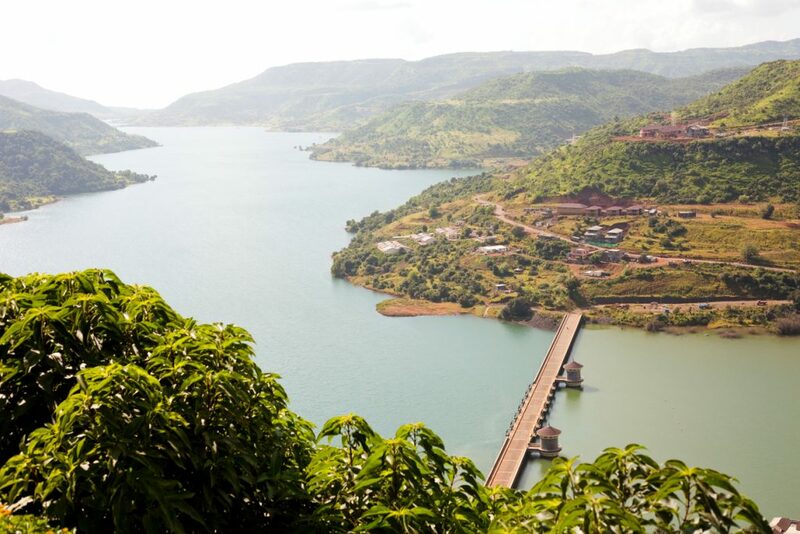 Why a weekend getaway or day trip to Lavasa? Lavasa is situated in the Sahyadri Mountains. 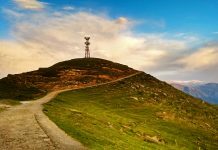 It was built as India’s first planned hill destination and resembles the town of Portofino in Italy. Lavasa is located in the district of Pune, Maharashtra overlooking the dam at Varasgaon and situated on the banks of Baji Pasalkar Reservoir. The town is famous as a tourist destination, and most who come here are from Pune. There are serene mountains and valleys covered in lush vegetation. It is a delightful place and allows one to rest after stress and strain at work. Once you enter Lavasa, you find it to be a well-appointed modern city with malls, hotels, resorts as well as some colleges. It is on its way to becoming the new address to be at, and quite a few of those who live in Pune and Mumbai own an address here and hop over during weekends. Lavasa, a private, planned city stylistically based on the Italian town Portofino, with a street and several buildings bearing the name of that town. Lavasa is about a three-hour drive from Mumbai and an hour’s drive from Pune. It is designed and built by HCC and extends over seven small hills and 25,000 acres. There is 60 km of waterfront adding to its beauty quotient. The drive to Lavasa is most enchanting and winds its way through spellbinding scenery. There is an entry fee of INR 500 for cars and INR 200 for motorcycles. If you have made up your mind to spend a day in Lavasa, there are few things you cannot but plan for. First is to make sure to keep most of your belongings in Pune if you are travelling from another part of India. Lavasa is foremost among India’s planned cities and especially lovely during monsoons. Surrounded by tall hills on every side it is a magical retreat which soothes the spirit. The city has been constructed keeping in mind the need for entertainment. It certainly does not lack in this respect. There is a multitude of activities in which one can take part. There is ample scope for water sports enthusiasts at the Varsagaon Dam lake. Plenty of opportunity lies for hiking and trekking into the hills for those who are so inclined. Temghar Dam – The Temghar Dam is located on the Mutha River. Downstream lies Pune. The elegant beauty of the surrounding vista surprises all who visit the dam. It is sublime in its beauty and the perfect mix of nature’s creativity and man’s ingenuity. Indoor Golf Recreational and Learning Center – An exciting place to visit at Lavasa, it provides you with a day filled with fun and frolic as you learn the basics of the game. There are simulators with giant screens where you can hone your skills at putting while playing alongside the virtual presence of the world’s best golfers. There is no age bar, and the young and old alike can take a swing with a golf club. The charges are INR 500 for each hour’s play. Adventure Sports – The thought of camping below the jagged rocks of Sahyadri mountains under a starlit sky sounds exhilarating. Yet not impossible at Lavasa where the Xthrill Adventure Academy provides such an outing for avid campers. There is no shortage of team building sports too with paintball guns as well as rafting and kayaking. From archery to trekking they are a one-stop solution for all your adrenaline needs. Bamboosa – Do you want some artistic handicrafts made from bamboo for your home or office? Then do visit Bamboosa. They create bamboo artefacts with the help of local people. It helps support the local economy and provides employment. You can find delicate looking furniture from beds to sofas as well as smaller souvenirs to take from your trip like photo stands. Lakeshore sports – On the banks of Varsagaon Lake there are many types of water sports to be found. For those who have courage, kayaks are the best option. For those who wish to be safe rather than sorry, there are jet skis. You may want to spend romantic moments with your partner and choose a staid pedal boat which slowly meanders along the lake waters. There is also the option for water skiing, and a bunch of other thrill-inducing activities is galore. There are several excellent quality hotels in Lavasa, and average prices range at around INR 3500 per night. The Waterfront Shaw is probably the finest and provides plush hospitality. It is spread over 1.5 acres and has 60 luxury rooms. But if that is not what you are looking for do not worry since there is room to suit every budget in Lavasa. The nearest airport is 49 km away at Pune. The nearest railway station too is at Pune and about 37 km away. 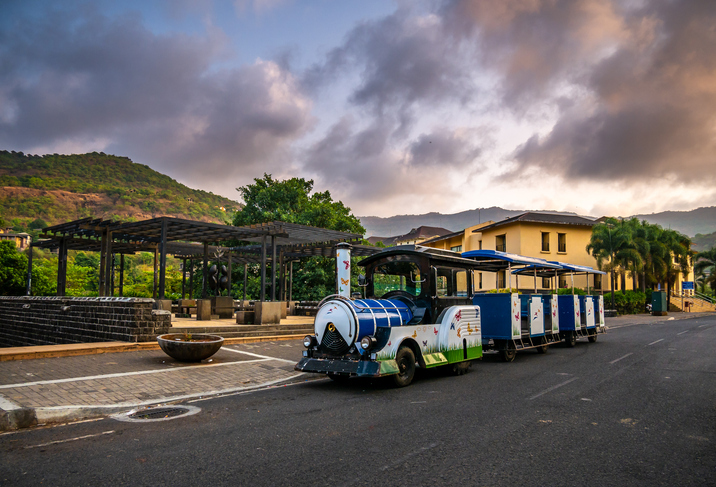 The Watunde bus stand at Lavasa is situated slightly far from the city centre and can be reached by taking an auto rickshaw or bus. There is a daily MSRTC bus service to Lavasa from Pune. If you plan to go on a road trip to Lavasa, you might want to check out these road trip essentials and complete packing list.